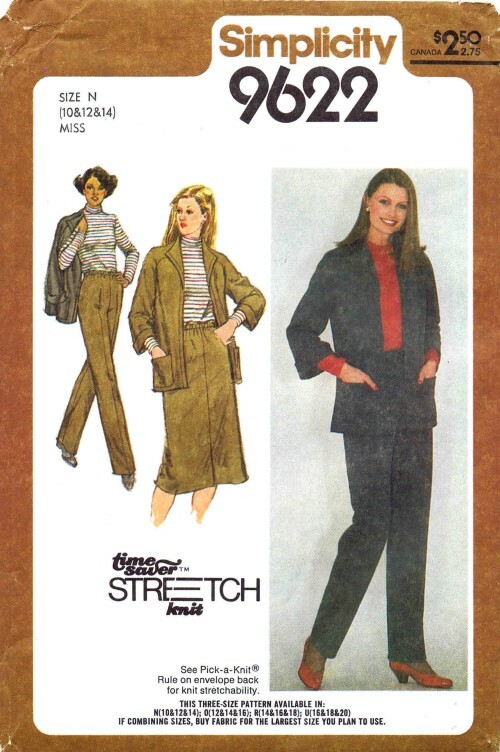 1980's Simplicity 9622 Vintage Sewing Pattern Misses' Pull-On Skirt, Pants, Pullover Top and Unlined Jacket . 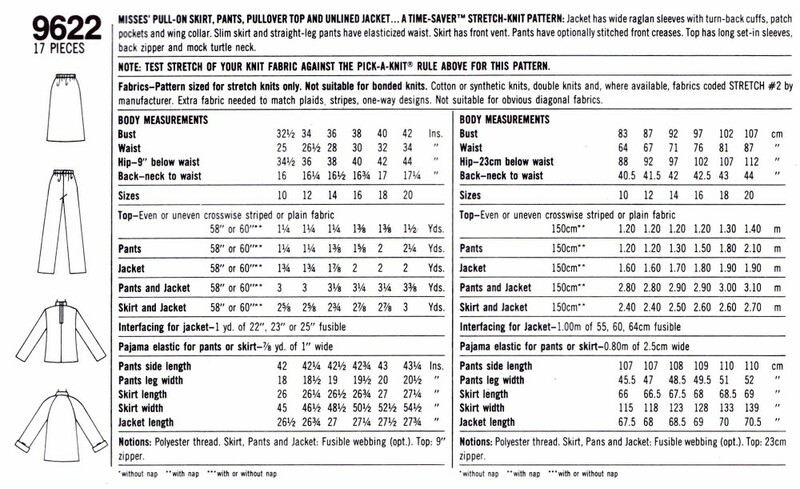 . . A Time-Saver Stretch Knit Pattern: Jacket has wide raglan sleeves with turn-back cuffs, patch pockets and wing collar. Slim skirt and straight-leg pants have elasticized waist. Skirt has front vent. 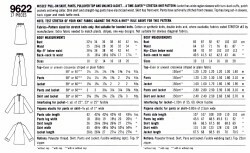 Pants have optionally stitch front creases. Top has long set-on sleeves, back zipper and mock turtle neck.